Cycling To the world hour record of Victor Campenaerts to celebrate, Saturday 9 november the 'kuipke' in Ghent, the scene of a "Fiesta Mexicana con Victor". "on The Saturday before the start of the Lotto six days Flanders-Ghent will be the 'kuipke' ever serve in a serving of cycling, entertainment and celebration, with one man in the leading role: Victor Campenaerts. We also expect all of the fans, koersliefhebbers, celebrants of the six days, and all those who want to have a warm latinofeestje! 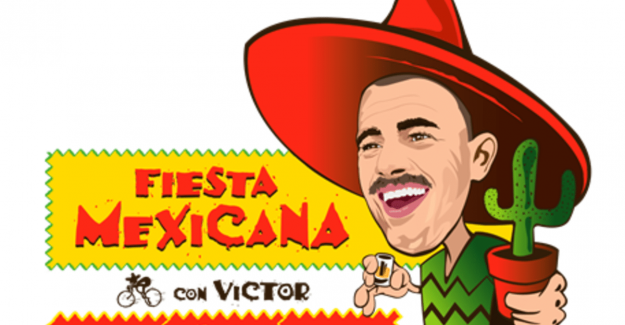 Cycling, partying and enjoying the end of Victor's outstanding performance in true Mexican style, that is the motto," let the organiser Golazo Wednesday know. Victor Campenaerts wrote yesterday in the Velodromo Bicentenario in mexico's Aguascalientes cycling history with a distance of 55,089 kilometres of the world hour record Bradley Wiggins (54,526 miles) of the tables to drive and as the first rider ever in the magic cape of 55 kilometers per hour to complete.